Reflection on the gospel reading: The gospel passage that we read today is a challenge to us who have heard God’s word and recognized God’s deeds in our lives. Despite what we have received, we often fail in our baptismal vocation to be men and women who live for others. Jesus in this passage reminds us that there are many in the world, who had that received the twin graces of knowledge of his word and recognition of his mighty deeds that we have received, would have embraced the gospel better than do we. The challenge we receive today is to carry the gospel with us, proclaiming it in what we do and how gently we treat one another. 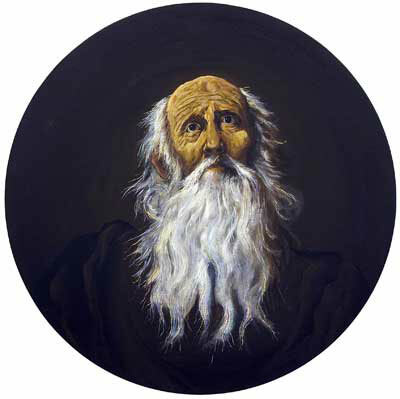 Saint of the day: Jerome was born to a rich pagan family. 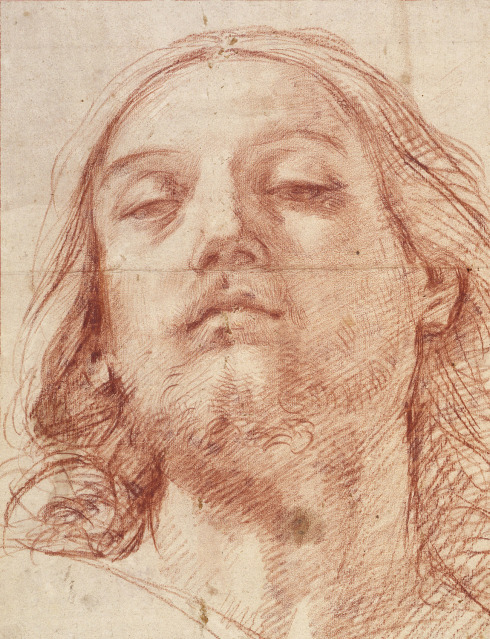 As a student in Rome, he engaged in the superficial activities of students there, which he indulged in quite casually but suffered terrible bouts of repentance afterwards. Jerome became a lawyer. 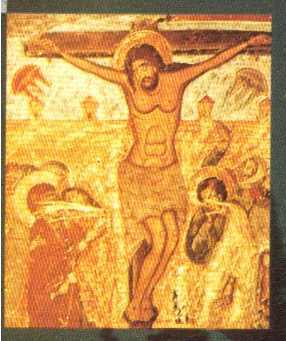 Although initially skeptical of Christianity, he was eventually converted and baptised in 365. Subsequently, he began his study of theology and had a true conversion. He adopted an acetical life and lived for years as a hermit in the Syrian deserts. Eventually, he was ordained a priest. Soon afterward, he went to Constantinople to pursue a study of Scripture under Gregory Nazianzen. He seems to have spent two years there; the next three (382-385) he was in Rome again, attached to Pope Damasus I and the leading Roman Christians. Invited originally for the synod of 382, held to end the schism of Antioch, he made himself indispensable to the pope, and took a prominent place in his councils. Among his other duties, he undertook a revision of the Latin Bible, to be based on the Greek New Testament. He also updated the Psalter then at use in Rome based on the Septuagint. Though he did not realize it yet, translating much of what became the Latin Vulgate Bible would take many years, and be his most important achievement. In Rome he was surrounded by a circle of well-born and well-educated women, including some from the noblest patrician families, such as the widows Lea, Marcella, and Paula, with their daughters Blaesilla and Eustochium. The resulting inclination of these women to the monastic life and his unsparing criticism of the secular clergy brought a growing hostility against him among the clergy and their supporters. Soon after the death of his patron Damasus in 384, Jerome was forced to leave his position at Rome after an inquiry by the Roman clergy into allegations that he had an improper relationship with the widow Paula. He lived his last 34 years in the Holy Land as a semi-recluse where he wrote translations of histories, biographies, the works of Origen, and much more. Jerome died near Bethlehem on September 30, 420. He has been named a Doctor of the Church and a Father of the Church. 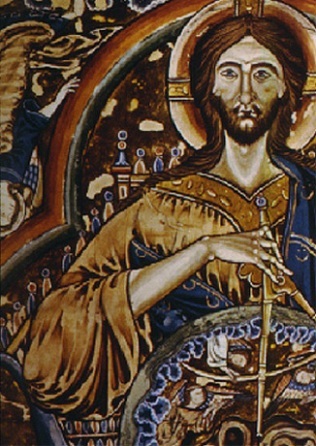 Since his own time, he has been associated in the popular mind with scrolls, writing, cataloging, translating, which led to those who work in such fields taking him as their patron. Reflection on the gospel reading: On this feast of Michael, Gabriel, and Raphael, we have from the Church the reading from John’s gospel where Jesus mysteriously tells Nathaniel that he saw him under the fig tree and Nathaniel responds with a confession of faith that Jesus is the Son of God and the King of Israel. 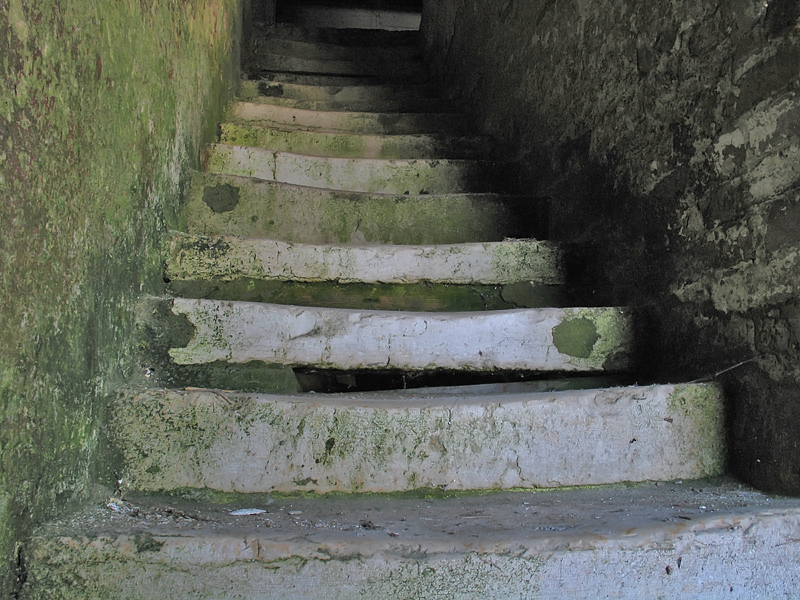 Jesus then tells him that he will see greater things and obliquely refers to Jacob’s dream where he saw the angels climbing up and down a ladder between God and humanity. In the image that Jesus presents to Nathaniel, the Lord is clearly the bridge that connects God and God’s people. May we cross that bridge today. 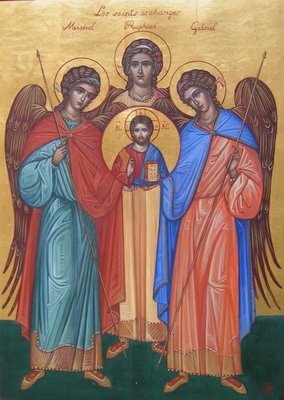 Saint of the day: We call the angels Michael, Gabriel, and Raphael “saints” because they are holy. But they are different from the rest of the saints because they were not human. They protect human beings, and we know something about each of them from the Bible. Michael’s name means “who is like God?” Three books of the Bible speak of St. Michael: Daniel, Revelation, and the Letter of Jude. 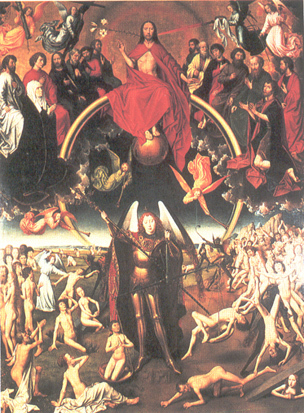 In the book of Revelation or the Apocalypse, chapter 12:7-9, we read of a great war that went on in heaven. Michael and his angels battled with Satan. Michael became the champion of loyalty to God. We ask Michael to make us strong in our love of the Good News. Gabriel’s name means “the power of God.” He, too, is mentioned in the book of Daniel. He has become familiar to us because Gabriel is an important person in Luke’s Gospel. This archangel announced to Mary that she was to be the mother of our savior. Gabriel announced to Zechariah that he and St. Elizabeth would have a son and call him John. Gabriel is the announcer, the communicator of the Good News. We ask Gabriel to help us to proclaim the Good News. Raphael’s name means “God has healed.” We read the story of Raphael’s role in Tobit. He brought protection and healing to the blind Tobit. At the very end of the journey, when all was completed, Raphael revealed his true identity. He called himself one of the seven who stands before God’s throne. We ask Raphael to protect us in our travels, even for short journeys, like going to the store or school. Reflection on the gospel reading: Today’s gospel suggests that discipleship is costly, and it identifies three tolls exacted of the Lord’s followers. When Jesus says, “The Son of Man has nowhere to rest his head,” he suggests that being a minister of the gospel requires complete freedom from possessions. This does not mean that the disciple needs to be without possessions; it merely means that having things or not having them is not a paramount concern for the person who serves the gospel. Second, when Jesus says, “Leave the dead to bury the dead,” what he means is that availability to serve the gospel precedes every other obligation in life. Finally, when Jesus says not to “look to what was left behind,” he isn’t speaking literally about not saying goodbye to family. This last saying sums up all three sayings in today’s passage: when we respond to Jesus’ call, it must be absolute and without condition. 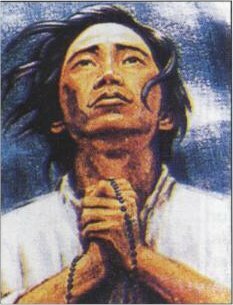 Saint of the day: Lorenzo Ruiz was born in Manila in about 1600 of a Chinese father and a Filipino mother, both Christians. Thus he learned Chinese and Tagalog from them and Spanish from the Dominicans whom he served as altar boy and sacristan. He became a professional calligrapher, transcribing documents in beautiful penmanship. 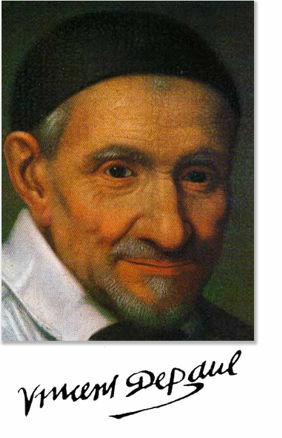 He was a full member of the Confraternity of the Holy Rosary under Dominican auspices. He married and had two sons and a daughter. At that time three Dominican priests, Antonio Gonzalez, Guillermo Courtet and Miguel de Aozaraza, were about to sail to Japan in spite of a violent persecution there. With them was a Japanese priest, Vicente Shiwozuka de la Cruz, and a layman named Lazaro, a leper. Lorenzo, having taken asylum with them, was allowed to accompany them. But only when they were at sea did he learn that they were going to Japan. They landed at Okinawa. Lorenzo could have gone on to Formosa, but, he reported, “I decided to stay with the Fathers, because the Spaniards would hang me there.” In Japan they were soon found out, arrested and taken to Nagasaki. The site of wholesale bloodshed when the atomic bomb was dropped had known tragedy before. The 50,000 Catholics who once lived there were dispersed or killed by persecution. They were subjected to an unspeakable kind of torture: After huge quantities of water were forced down their throats, they were made to lie down. Long boards were placed on their stomachs and guards then stepped on the ends of the boards, forcing the water to spurt violently from mouth, nose and ears. The superior, Antonio, died after some days. Both the Japanese priest and Lazaro broke under torture, which included the insertion of bamboo needles under their fingernails. But both were brought back to courage by their companions. 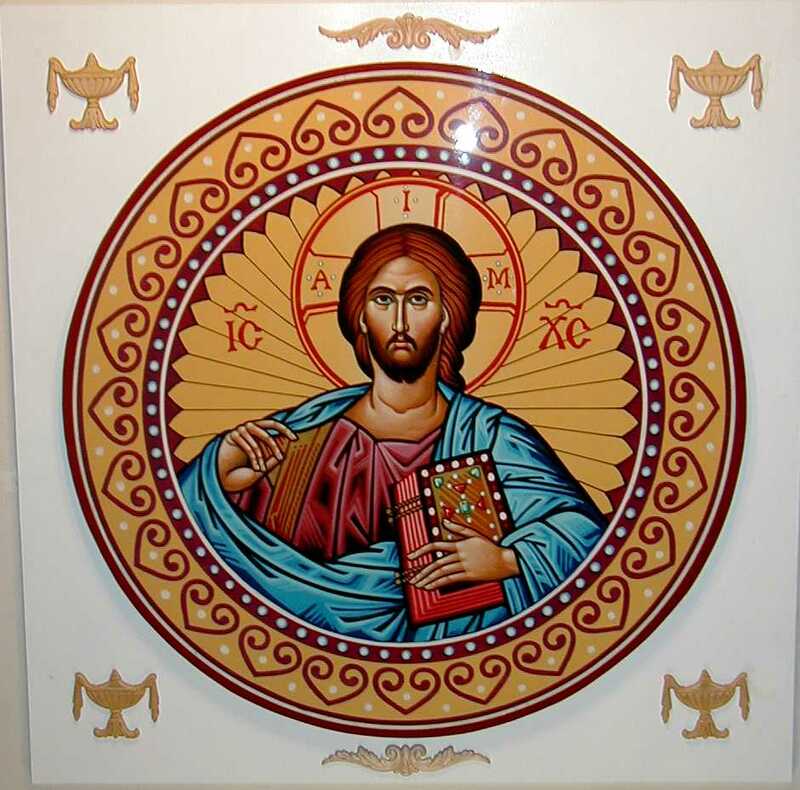 In Lorenzo’s moment of crisis, he asked the interpreter, “I would like to know if, by apostatizing, they will spare my life.” The interpreter was noncommittal, but Lorenzo, in the ensuing hours, felt his faith grow strong. He became bold, even audacious, with his interrogators. The five were put to death by being hanged upside down in pits. Boards fitted with semicircular holes were fitted around their waists and stones put on top to increase the pressure. They were tightly bound, to slow circulation and prevent a speedy death. They were allowed to hang for three days. By that time Lorenzo and Lazaro were dead. The three Dominican priests, still alive, were beheaded. Reflection on the gospel reading: This passage marks the end in Luke’s gospel of Jesus’ ministry in Galilee and his turn toward the final period of his mission to humanity. While the other gospel writers suggest that Jesus goes up to Jerusalem several times to celebrate the holy days of his people, repeatedly making the trip apparently over the course of a number of years, Luke seems to suggest that Jesus goes to Jerusalem but once. With this literary license, the evangelist makes the point that Jerusalem and everything that happens there, including the Lord’s passion, death, resurrection, and ascension, is the meaning and object of Jesus’ entire ministry. The deathbed confession of a dying servant opened Vincent’s eyes to the crying spiritual needs of the peasantry of France. This seems to have been a crucial moment in the life of the man from a small farm in Gascony, France, who had become a priest with little more ambition than to have a comfortable life. Later Vincent established confraternities of charity for the spiritual and physical relief of the poor and sick of each parish. From these, with the help of St. Louise de Marillac, came the Daughters of Charity, “whose convent is the sickroom, whose chapel is the parish church, whose cloister is the streets of the city.” He organized the rich women of Paris to collect funds for his missionary projects, founded several hospitals, collected relief funds for the victims of war and ransomed over 1,200 galley slaves from North Africa. He was zealous in conducting retreats for clergy at a time when there was great laxity, abuse and ignorance among them. He was a pioneer in clerical training and was instrumental in establishing seminaries. Reflection on the gospel reading: We read Luke’s account of Jesus’ prediction of his passion and death on Saturday; this passage follows immediately afterward. Luke does something striking and unambiguous in his rendering of this event. In Mark’s account of this event, that evangelist interjects a discussion about Elijah and John, but Luke goes right to this argument among the apostles about who is the greatest. Luke is pointing out, by the way he constructs this plot, that while the apostles were totally at a loss about what to say about Jesus’ suffering and death, they were ready and eager to talk about who is the greatest. Luke emphasizes this point when he has Jesus take the child to make the point that Jesus has not chosen the apostle because they were something special: God could choose anyone to do the job he has given to the apostles, even a powerless child. The greatness of the apostles does not derive from who they are but from the mission they have been given. And so it is with us. We may suffer the temptation to think we are something special. But whatever gifts we have, they are not ours but the Lord’s. Our focus should not be on what we have but what we do. Every chance they had, the two saints told their patients about Jesus Christ, the Son of God. Because the people all loved these twin doctors, they listened to them willingly. Cosmas and Damian often brought health back to both the bodies and the souls of those who came to them for help. When Diocletian’s persecution of Christians began in their city, the saints were arrested at once. They had never tried to hide their great love for their Christian faith. They were tortured, but nothing could make them give up their belief in Christ. 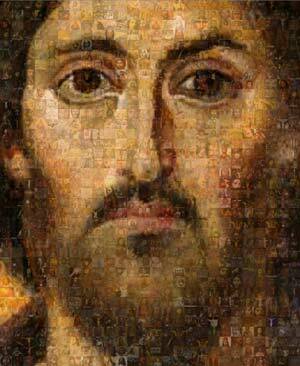 They had lived for him and had brought so many people to his love. So at last, they were put to death in the year 303. These holy martyrs are named in the First Eucharistic Prayer of the Mass. Reflection on the gospel reading: Earlier in the Gospel of Matthew, at the end of the Sermon on the Mount in Chapter 7, the evangelist records that Jesus says, Not everyone who says, “Lord, Lord,” will enter the kingdom of heaven but only the one who does the will of my Father.” It is not sufficient to simply do pious devotions and study the scriptures and theology. The gospel demands mission: kind acts and generous deeds. It demands availability to the hungry, the thirsty, the stranger, the naked, the ill, and the prisoner. 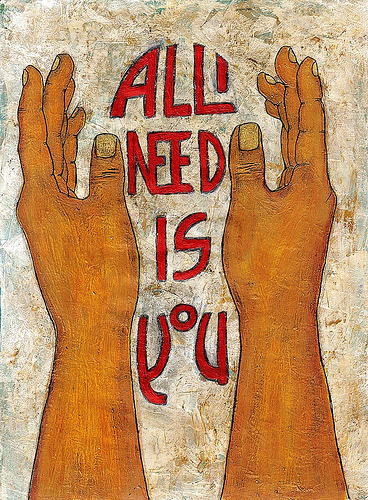 The gospel beckons us to be balm for the wounded world. 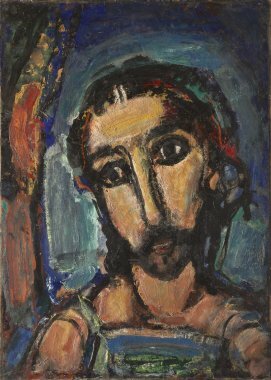 Reflection on the gospel reading: Jesus has revealed his identity to his disciples, but he has told them that he is something quite different than they imagined. Being the anointed one, the messiah, the king, is not a story of earthly prestige; it is a narrative about self-sacrifice and even pain. While the disciples dreamed of a future that held worldly honors, Jesus tells them his fate was one of betrayal and suffering. 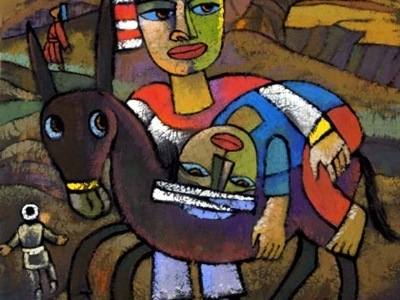 It is hard even for us, who know so well this story, to understand that suffering is an intrinsic component of the mission that Jesus lived and preached, but it is our call to embrace the suffering that life hands us. Certainly, we need not go and look for it; it will come and find us. But when it comes, we should not resist it. Everything is gift from the hands of God. Saint of the day: Born on March 1, 1653 at San Severino, Pacificus was the son of Antonio Divini and Mariangela Bruni, both of whom died when Pacificus was about three-years-old. They left him to be raised by an uncle. Pacificus joined the Franciscans in December 1670 and was ordained in 1678. A professor of philosophy, he taught novices and served as a parish missionary. His health failed and he spent his final 29 years lame, deaf, and blind, leading a contemplative life. Pacificus is said to have received ecstasies and been a miracle worker. Once when Jesus was praying in solitude, and the disciples were with him, he asked them, “Who do the crowds say that I am?” They said in reply, “John the Baptist; others, Elijah; still others, ‘One of the ancient prophets has arisen.’” Then he said to them, “But who do you say that I am?” Peter said in reply, “The Christ of God.” He rebuked them and directed them not to tell this to anyone. Reflection on the gospel reading: In today’s gospel, Jesus and his disciples are praying in solitude. In the midst of the prayer, the question of Jesus’ identity, mission, and fate arise. God has an idea for each of our lives and draws us to this idea through the various events of our lives. God calls us into communion with Godself to plug into a relationship which works out the nature of our calling through prayerful recognition of how God works in our lives. This passage from Luke reminds us that it is in prayer that we sort through the various facts and emotions of that divine idea for our lives and learn what it is that God created us to be and to do. Saint of the day: Padre Pio was born on May 25, 1887 to a southern Italian farm family as Francesco Forgione as the son of Grazio, a shepherd. At age 15, he entered the novitiate of the Capuchin Friars in Morcone, and joined the order at age 19. He suffered several health problems, and at one point, his family thought he had tuberculosis. He was ordained a priest at age 22 on 10 August 1910. 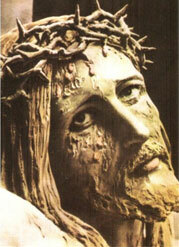 While praying before a cross, he received the stigmata on September 20, 1918, the first priest ever to be so blessed. 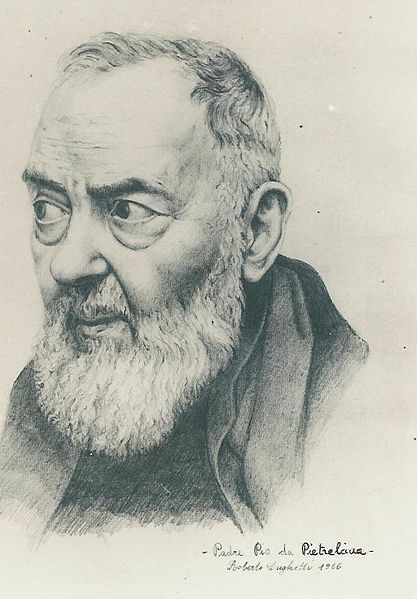 As word spread, especially after American soldiers brought home stories of Padre Pio following World War II, the priest himself became a point of pilgrimage for both the pious and the curious. He would hear confessions by the hour, reportedly able to read the consciences of those who held back. He was said to be able to bilocate, levitate, and heal by touch. Founded the House for the Relief of Suffering in 1956, a hospital that serves 60,000 a year. In the 1920s, he started a series of prayer groups that continue today with over 400,000 members worldwide. He died on September 23, 1968 of natural causes. Herod the tetrarch heard about all that was happening, and he was greatly perplexed because some were saying, “John has been raised from the dead”; others were saying, “Elijah has appeared”; still others, “One of the ancient prophets has arisen.” But Herod said, “John I beheaded. Who then is this about whom I hear such things?” And he kept trying to see him. Reflection on the gospel reading: An English bishop of the 13th century, Richard of Wyche, wrote a prayer in which he asks Jesus, “May I know thee more clearly, love thee more dearly and follow thee more nearly, day by day.” Like this prayer, the gospel passage that we read today suggests that there are different ways of seeing who Jesus is. In today’s narrative, Herod the Tetrarch has been hearing quite a bit about Jesus and the wonders he works. Herod is a superstitious man, and like his father before him, he fears Jesus. But Herod also is curious about him and wants to see him, perhaps so Jesus can perform some “magic” for him. One moral to this gospel passage is that there are different ways to see Jesus. There is the wrong path, that is, the way that Herod wants: to perceive the Lord with neither faith nor hope and think about him much the way we might be amused by the tricks of a trained animal. And there is the way that Richard of Wyche: to look into life and each part of the world to see, love, and follow the Lord. Saint of the day: Today the Church remembers the 233 martyrs of Valencia, Spain, referred to collectively as Jose Aparicio Sanz and 232 companions, beatified in 2001. Scholars believe that in the early months of 1936 more than 10,000 priests, brothers, nuns, and Catholic lay persons were killed in the Spanish Civil War, as combatants attempted to wipe out what they saw as the Catholic resistance. The Spanish Civil War (1936-39) pitted the government, supported by communists, anarchists, socialists, labor groups and other secular causes, against a Fascist movement, which endeavored to enforce an authoritarian Spanish society. Eventually, the Fascists prevailed. In the course of the horrible and bloody conflict, many Spanish Catholics died for the faith. 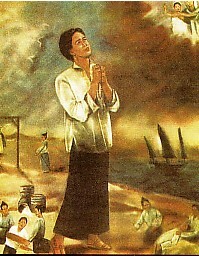 Various anecdotes illustrate the courage and faithfulness of the martyrs of Valencia. Father Jose Aparicio Sanz served as archpriest in his native village of Enguera, Spain, in the archdiocese of Valencia. As the Spanish Civil War continued in the autumn of 1936, forces of the anti-Catholic Popular Front arrested Father Aparicio and imprisoned him together with fourteen other diocesan priests in a jail at Mislata. From October 5 through Christmas of that year, the incarcerated priests spent their time repeatedly praying the rosary and reciting other devotional prayers. On December 29, 1936, the forty-three-year-old Father Aparicio was brought to a location known as Picadero de Paterna to be executed along with approximately thirty other prisoners. Among the others put to death for the Catholic faith was the thirty-three-year-old curate of Father Aparicio’s parish of Enguera, Father Enrique Juan Requena. 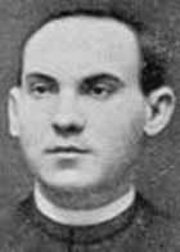 Another of the martyrs was Jose Perpina Nacher, a twenty-five-year-old married layman who had worked as a lawyer and a telegraph operator. 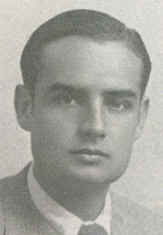 The young Francisco Castelló y Aleu, 22 years old, a chemist by profession and a member of Catholic Action, realizing the gravity of the situation, did not want to hide but to offer himself as a sacrifice to God and his companions; he left three letters, written a few moments before his death, to his sisters, his spiritual director, and his fiancée. These letters testified to his strength, generosity, serenity, and happiness. A 23-year-old newly ordained priest, Germán Gozalbo, after many humiliations and abuses, was shot only two months after celebrating his first Mass. Reflection on the gospel reading: Tax collectors in the time and place that Jesus lived were Jews who worked for the Romans. Perceived as people who violated the Law of Moses, tax collectors were social outcasts. The passage that we read today describes Jesus’ call of a tax collector, Matthew, to follow him. The text demonstrates that Jesus did not allow the biases of people who surrounded him to influence his decisions about who would accompany him. 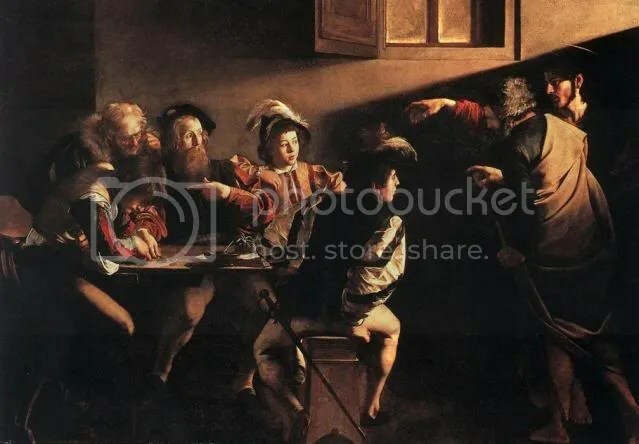 Matthew leaves everything in an instant to follow the Lord, and in a meal that celebrates his welcome among the Lord’s disciples, the Pharisees and scribes accuse Jesus of keeping poor company. The Lord, however, says that he has come to heal the sick and implicitly accuses the Pharisees of scribes of legalisms and a lack of mercy. Here, then, as over and over again throughout the scriptures, the Lord counsels us to let go of rigid adherence to law in order that we might lavishly love one another. 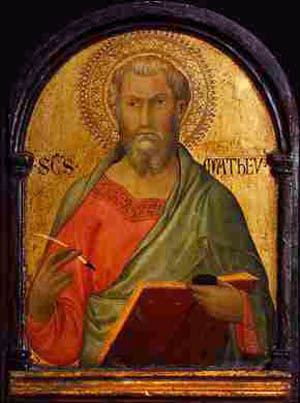 Saint of the day: The apostle Matthew was a Jew who worked for the occupying Roman forces, collecting taxes from other Jews. Though the Romans probably did not allow extremes of extortion, their main concern was their own purses. They were not scrupulous about what the “tax-farmers” got for themselves. Hence the latter, known as “publicans,” were generally hated as traitors by their fellow Jews. The Pharisees lumped them with “sinners.” So it was shocking to them to hear Jesus call such a man to be one of his intimate followers. Matthew got Jesus in further trouble by having a sort of going-away party at his house. The Gospel tells us that “many” tax collectors and “those known as sinners” came to the dinner. The Pharisees were still more badly shocked. What business did the supposedly great teacher have associating with such immoral people? Jesus’ answer was, “Those who are well do not need a physician, but the sick do. Go and learn the meaning of the words, ‘I desire mercy, not sacrifice.’ I did not come to call the righteous but sinners” (Matthew 9:12b-13). Jesus is not setting aside ritual and worship; he is saying that loving others is even more important. The traditional view is that the Gospel of Matthew was composed by Matthew, though modern Biblical scholars widely dismiss the possibility that the apostle Matthew wrote the gospel. Scholars have made several suggestions as to the identity of the author: a converted rabbi or scribe, a Hellenised Jew, a Gentile convert who was deeply knowledgeable about the Jewish faith, or a member of a “school” of scribes within a Jewish-Christian community. Most scholars hold that the author was a Jewish-Christian, rather than a Gentile.